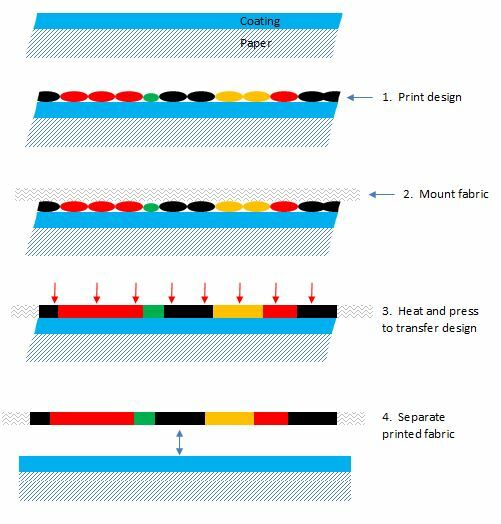 Dye-sublimation printing, or transfer printing can be used to apply designs to polyester fabric, and to a wide range of substrates which have been treated with a dye-absorbing polymer. Since the ink dissolves deeply into the polymer, the design is wash-proof, and durable. For more information, see the process below. At the present time, we are not doing dye sublimation printing on t-shirts or other garments. Instead, we steer our garment customers toward screen printing for large orders or toward direct-to-garment printing for small orders, or complex, multi-color designs. We still do dye sublimation printing of large items, such as table cloths and fabric banners. Expressive printing or embroidery starts with superior artwork. Our graphic designers understand how to create artwork that will look good on cloth. We can work with your project from whatever stage you bring it: from a concept, a pencil sketch, or from print-ready digital files. And after we’ve finalized a design, we always provide a proof for your approval.